Vanilla is an absolute favorite scent of mine, but orange is a good one too :) Lovely. Lilacs, roses come in a close second. 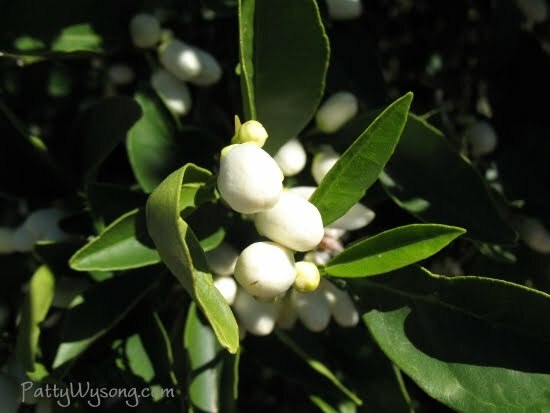 There are still a few orange trees and groves remaining here in Southern California. On occasion, I get a waft of their flowery scents- a wonderful aroma! I love lilacs, too, but don't have them here. Vanilla is my signature scent. Favorite fragrances include honeysuckle and sunflowers. And then I found out that bluebonnets have a smell too! Love that. I love the smell of new leather (love to go to the Tandy store just to sniff the leather) 8-). Also love vanilla and cinnamon too. And yes, the orange trees smell wonderful. They wreak havoc on most people's allergies, but they smell wonderful. Patty, love your photos! Very pretty. I like the scent of lilacs. I just love reading all the comments and the wonderful aromas. I do love lilacs and vanilla. I was in Arizona a few weeks ago and wish I had known about that monastery. how interesting. 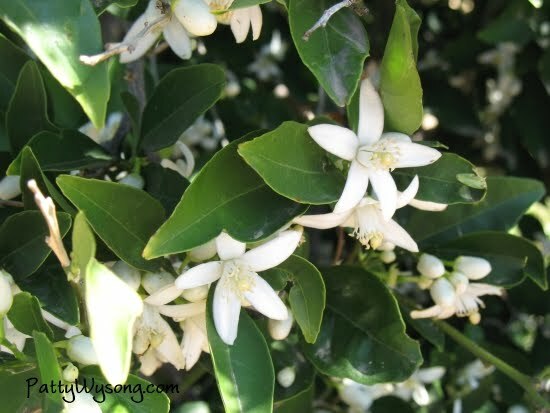 We have an Orange Blossom Bush and I do love the scent, but my favorite would be lilac. During the season, which is woefully short, I can't stop inhaling. I wish I could bottle it for those cold winter days. Two fragrances come to mind. The first is lilac bushes in full bloom. No one will fault me for that. The second may get some snickers. The smell of cattle au natural is one of the many things I miss about living on a farm.